Home Uncategorized Deal Alert: $5 Umami Burgers! Deal Alert: $5 Umami Burgers! The Deal: On February 5, 2009 Adam Fleischman opened the first Umami Burger. 20 locations, half a dozen other concepts, and hundreds of thousands of buns later, the local chain celebrates its fifth anniversary. 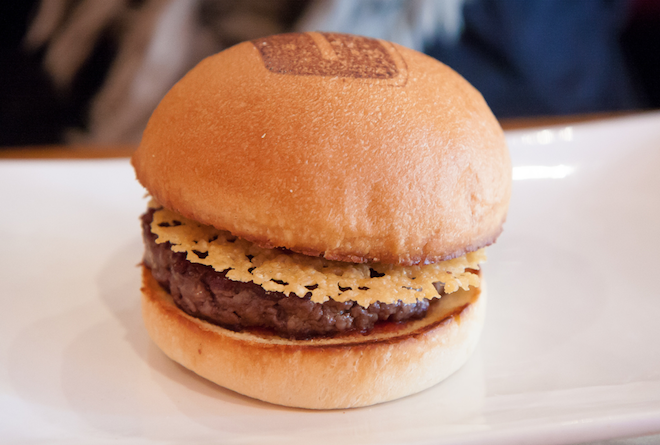 To honor the occasion, Umami Burger locations will be offering original burgers for just $5. The Catch: This offer is only valid today, February 5, 2014. The Location: All Umami Burger locations. Bonus: Order a second burger and receive a $5 Umami gift card for use on a future visit.